Are any of you other single gals tired of singleness books fixating on how disappointed you must be without a husband, how much wife potential you *could* have, how you should try harder to be worth marrying, how you should also stop trying so hard to be married so God can surprise you with a man, how your single status can probably be explained by your many flaws, etc? 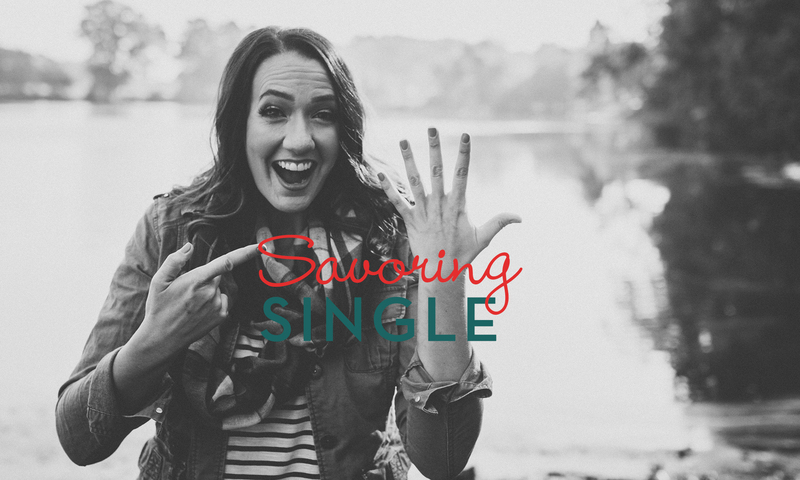 Not only should you pick up a copy and dive in, but we don’t want a single girl to miss out on hearing how Savoring Single could truly impact the rest of her life. To do that, we need your help. With the help of Livy Lynn, we are hosting a Month-Long Blog Tour to spread the message and connect girls from communities across the globe around this deeply personal matter of being single. During the blog tour, we will post on both of Savoring Single’s social media platforms, tagging you and your blog, along with a link directing traffic back to the blog tour page. This will give our audience an opportunity to find your blog space as a participant in the tour. The blog tour will take place during the month of February 2018. Sign up for the style of post you are most interested in, be it a book review, interview or original post. Select the date you’d like to participate in the tour. Only select dates still available, so sign up now! I’m sure you, and probably girls you know, could use a fresh breath of air when it comes to how to walk out this thing called single. There is a better way and you are invited!